Sony is pouring a lot into The Last Guardian, so much so that even mainstream audiences who have no idea what an "ICO" even is are getting a taste this week. This trailer has been popping up in cinemas all around the country as Sony makes a final push for the game that's been in development for nearly a decade. Creative Director Fumito Ueda also opened up his thoughts in an interview with PlayStation Blog. Check below for his answers because the guy has a lot to say about his own game. "I'm going to be little hard on myself here… but to say I've done everything 100% is not completely true. As a creator, there's always a little more you feel you could have done. When I finished Ico and Shadow of the Colossus, I felt exactly the same way. Having said that, I think the staff from Sony and Gendesign has put everything, every ounce of energy we had, and poured it into the project." "Trico is a hybrid of sorts, a mixture of a cat, a dog, a bird, and the like. It might represent a motif. When I was younger, I grew up in a home that had a bunch of animals. My experiences with them are great memories that I still have. In creating Trico, I didn't really have to do any specific research because it's a creature that obviously doesn't exist. But it's really all based on my childhood memories, the way I interacted with the animals, the way they reacted to me." "The way I see it, maybe they are from the same world, or the same universe. But anything further than that is really up to the player's imagination. Everyone has a different level of relationship with the two previous titles, so we wouldn't dictate that it is or it isn't. It's up to the player." 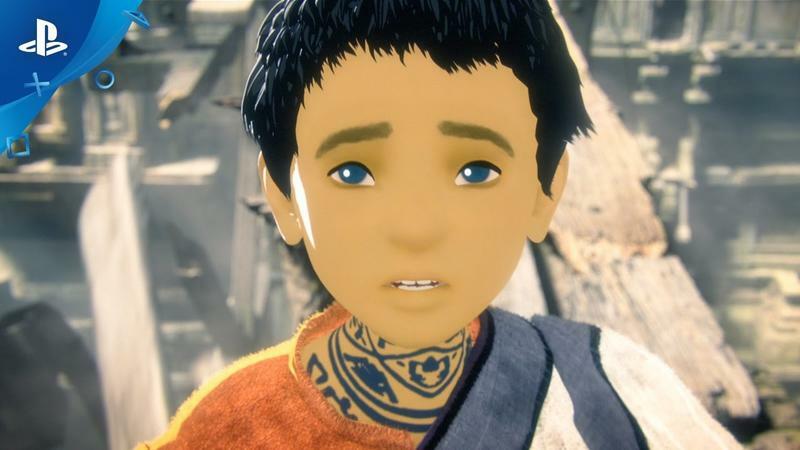 "I would have to say that it's what we were able to accomplish with the character of Trico. Its behavior, everything about it. We were basically breathing life into a creature that has never been created, a new character, which is very difficult. How does it feel to actually feed Trico? I want players to experience what that feels like." "There are some games that have opened my eyes and influenced me in big ways. Prince of Persia is one, and Another World. This may come as a surprise, but Virtua Fighter is another… What they all have in common is the intricacy of the animation. I'm always curious in finding ways that animation can help breathe new life into characters — that's an element that will always appeal to me." "It's a difficult question to answer, but I think that maybe a lower barrier to entry or skill required. And I'm not saying that games need to be easy or casual or anything like that. But when you think about the origin of video games, arcade games, you put in 100 yen and you got to play for maybe three minutes. There's basically an end, or a restriction, that is placed. Sometimes that can be a little intimidating." "On console games, there's no need to put a time limit or game over screen — we want people to play longer. But again, whether it's skill requirements, or continuous challenges until you feel like giving up… if they felt slightly more accessible, then maybe more people would enjoy playing video games. Having said that, as long as we define what we do as video games in this business, then the experience needs to be very unique [to that medium]. Striking that balance is not an easy task." "It's quite simple… at the end of playing through the game, if the player feels the existence of Trico, like it's really there, then we have accomplished what we set out to do." The Last Guardian is a game that has been a decade and a half in the making. From its roots all the way back with the revolutionary hit ICO to this upcoming release on the PlayStation 4, Sony's trilogy pushes the boundaries of the advancements video games have made in that time period. Fans have waited far too long for this game to care if it plays like a PlayStation 2 game, the era it entered pre-production. The Last Guardian will be released for the PlayStation 4 on Dec. 6.